Shannon, Ireland, — March 22, 2018 — Four Js Development Tools Europe Ltd. today announced that Genero Enterprise has achieved SAP® certification as powered by the SAP HANA® platform. The SAP Integration and Certification Center (SAP ICC) has certified that Genero Enterprise can be powered by SAP HANA. 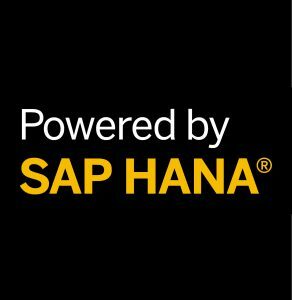 We are delighted to announce that Genero Enterprise is now certified as powered by SAP HANA. Over the past year, we have experienced a growing demand from our customer base, notably where high performance is critical. SAP HANA is revolutionizing the speed of data processing for reporting, analytics and computational tasks. SAP HANA is an in-memory, column-oriented, relational database management system. Column-oriented systems store all data for a single column in the same location, rather than storing all data for a single row in the same location (row-oriented systems). This can enable performance improvements for OLAP queries on large datasets and allows greater vertical compression of similar types of data in a single column. The key distinction between HANA and previous generation SAP systems is that it combines both OLAP and OLTP operations into a single system; thus SAP HANA is considered an ‘OLTAP’ system. SAP HANA performs advanced analytics; predictive analytics, spatial data processing, text analytics, text search, streaming analytics and graph data processing. It also includes ETL capabilities as well as an application server. Download the SAP HANA certificate here.